"Sales is NEVER GOING AWAY"
The sales function is fundamental to everything we do in our personal and professional lives. Companies "sell" their employees on following procedures. Parents "sell" their kids on eating their broccoli. There is nothing that will change that. However....I'm ever more resolute in my forecast that the sales title and organizational resources and staffing which are called "sales" will disappear. 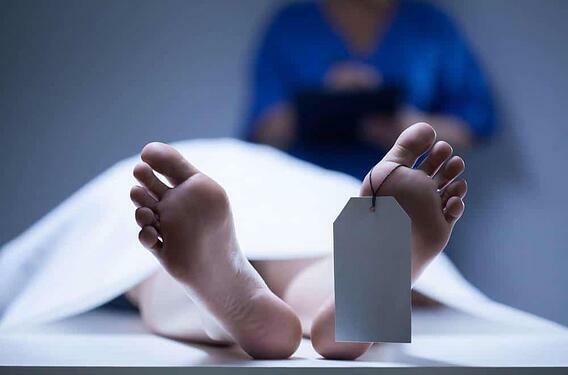 The death of today's classic marketing/sales organizational structure is inevitable. Why? Because embedded in the business use of the term sales, and all the vestiges of a traditional B2B sales model, is an arrogant dismissal of buyer/market expectations. I won't take an extended tour through the litany of changes in buyer expectations. You know the changes because you have changed your own buying. You have an idea....you search....you learn....your cogitate....you decide if you want to dive deeper or not. IF, and only if & when you do want to dive deeper, you're open to conversing with someone who can answer the questions you have and provide insights which will help you evaluate whether a solution addresses significant professional and personal objectives. That could be by online chat, phone, email, web meeting, etc. Note the important distinction - you used to call a company and ask to speak to a sales rep. Now you seek someone who can answer your questions. You want someone to enable your research and learning - and ideally, a la the Challenger Sale method, someone who will bring a richer perspective accumulated across various businesses which augment your own. That creates a fundamental conflict with the org chart and resource allocation of companies - a conflict which is particularly acute in complex transactions such as capital equipment sales. To aggravate the problem, most "sales reps" patently fail to deliver the value for which prospects yearn as shown in this great graphic from Bob Apollo. B2B buyers used to be relatively isolated and dependent on companies to bring them ideas. Sure they could turn to a shelf full of green books, but mailings and meetings were their primary tools with elements of conferences, journals and trade shows mixed in. Those units mapped to stages in a buyers journey which was led by vendors. They are irrelevant to a buyers journey led by buyers. In fact, they are barriers that create inconvenience and resentment for prospects. The problem is bigger than it appears. Not only are companies torquing their prospects off by forcing this obsolete model on them, but clinging to this model and the traditional allocation of resources (very heavily skewed toward the sales department in head count and compensation) they're handicapping their ability to execute the work required to redesign their revenue growth function to work. After all, when sales fall, what capital equipment sales team ever says "Let's cut the sales force"? NONE! The reflexive reaction is always to cut marketing. Based on the org chart and the legacy function of each department, that probably makes sense. But based on today's reality, that is a precise inversion of the appropriate response. How can you confirm this fundamental mismatch between capital equipment sales approaches and buyer expectations? Well, let's look at the numbers. How's your sales team performing? What percentage make quota? Is your pipeline predictable, or do you have a bulge in quotes and fewer deals closing? Do your reps know why they lost deals? More importantly, do they know when they're going to? And when you invest in sales training, what's the measurable impact? Do better time management and role plays to practice adroit reversals actually impact sales? And the leads you're getting...am I right that they're either completely unqualified or already talking to competitors? See these are common enough that I can almost predict the challenges your facing. The only way you'll overcome this is to actually be a resource to the people who will one day be your buyers. Along the way you'll also be a resource to those who are buyers today and will be tomorrow. But the order and the emphasis is important. Here's why. Machinery and automation manufacturers and integrators look at the world through their product lens. 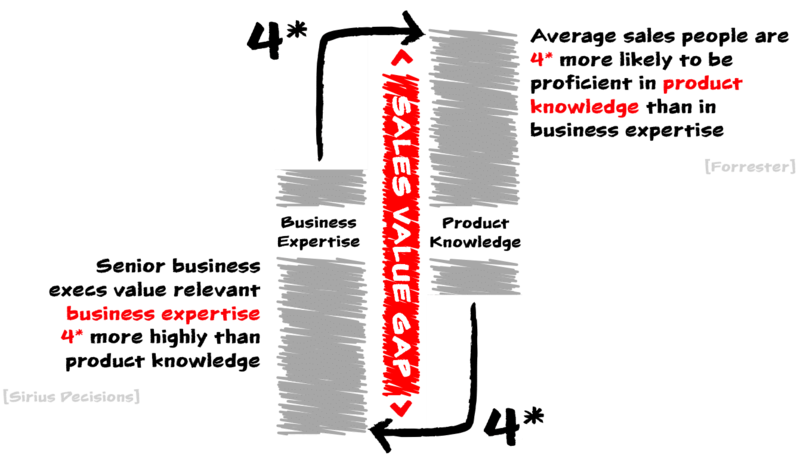 Companies build their marketing and sales around product knowledge which exacerbates the value gap shown above and, frankly, pisses off buyers by wasting their time. And that brings us to the crux of the issue. The only way to achieve this is to create a continuum of information/education/consulting. (And by the latter I mean real, insightful, business expertise - not the hogwash of pasting a "Sales Consultant" name tag on someone who has no business experience and two weeks of product feature training.) And to build a team of digitally savvy, technically competent and high EQ folks. Along that continuum you'll position people with a range of skills. There will be "PR" people who are facile at pitching stories to journalists....but they'll understand your target personas and the important business outcomes to which your products contribute. There will be "marketers" who understand messaging, email subject lines, PPC and automation....who can write killer, optimized press releases and sense the right time to pick up the phone and call a process engineer; and even know the questions to ask. There will be sales people who know when to close....and who have powerful personal digital brands and understand what enablement content will help their primary buyer sell their colleagues. And there will be customer service folks who can sell the first deal, sell repeat deals, and create content that answers the questions buyers and users ask. But the sole arbiter of the appropriateness of any silo, department or title will be buyers. When they initiate an online chat...what do they expect? When they search for insights into a problem....what do they expect? When they want to check a spec....what do they expect? In all cases the expectation is fast, accurate, insightful answers - and ideally answers supplemented with follow on provocative questions that open doors to new insights. So we agree - sales will never go away. Capable sales people will thrive. I'm pretty sure we disagree, though, on the future of the discreet sales function along with it's related vestigial organizational units that serve only internal purposes now at the expense of revenue growth success. So blow yours up while you can get ahead of the curve. Create a revenue growth function along a continuum to mirror buyer expectations. And make sure your director of technical services, the CFO and HR are all warmly welcomed into the discussion, because excluding those perspectives will hobble your revenue growth effort. Your buyers' teams include them - so should your buyer education. Capital equipment sales is just one area that's changing for machine builders. There are business model and product offering considerations as well. Want to take a step back and consider your business from a longer-term perspective? Download this free strategy guide that provides a framework for that process.